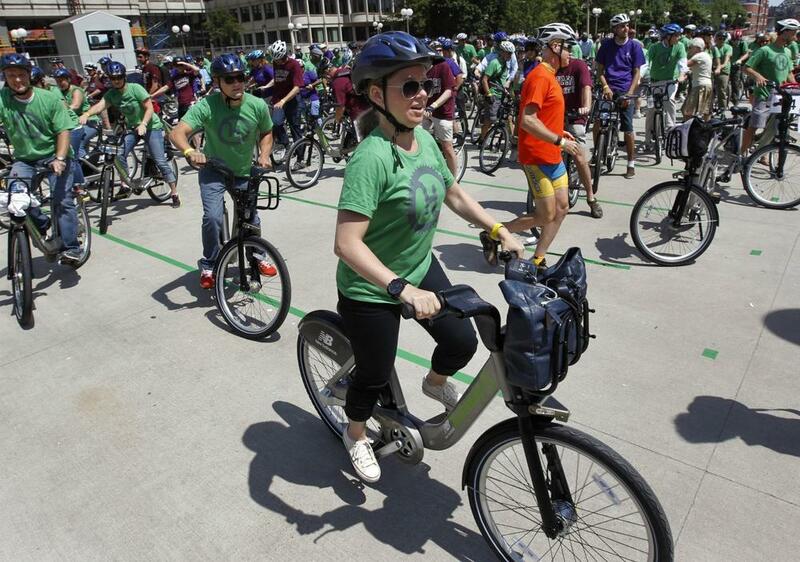 Boston's Hubway bike-sharing program just topped a million rides. It's a symbolic milestone for the less than two-year-old system. But it also points to a bigger trend: all over the Boston area, more people are choosing to get around without a car. There's been a lot of research recently showing that our relationship with cars is changing in significant ways. Earlier this summer, the US Public Interest Research Group found that Americans — especially those under 30 — have been driving less and less each year since 2004. So is it time to rethink how we get around, and redesign our cities and towns to reflect a less car-reliant culture? Micheline Maynard, journalist, educator, and author of the forthcoming e-book Curbing Cars: Rethinking How We Get Around. Jacqueline Douglas, executive director of Livable Streets, a Boston area urban transportation advocacy group. This segment aired on July 29, 2013.